Pastor: For fathers everywhere, who have given us life and love that we may show them respect and love. Pastor: For fathers who have lost a child through death, that their faith my give them hope, and their family and friends will console them. Pastor: For step-fathers who have assumed that role with love and joy, who have loved the children of another as their own and created a new family. All: Holy God, hear this prayer for step-fathers. Pastor: For adoptive fathers who have claimed the orphan and loved the once unwanted as a precious gift from God. All: Holy God, hear this prayer for adoptive fathers. Pastor: For new fathers, full of hope. For long-time fathers, full of wisdom. For the fathers yet to be and fathers soon to be. All: Holy God, hear our prayer for the fathers of your Church. Pastor: God our Father, in your wisdom and love you made all things. Bless these men that they may be strengthened as Christian fathers. Let the example of their faith and love shine forth. Grant that we, their sons and daughters, may honor them always with a spirit of profound respect. Grant this through Jesus Christ our Lord. Amen. All fathers were honored during Sunday services on June 15, 2014. 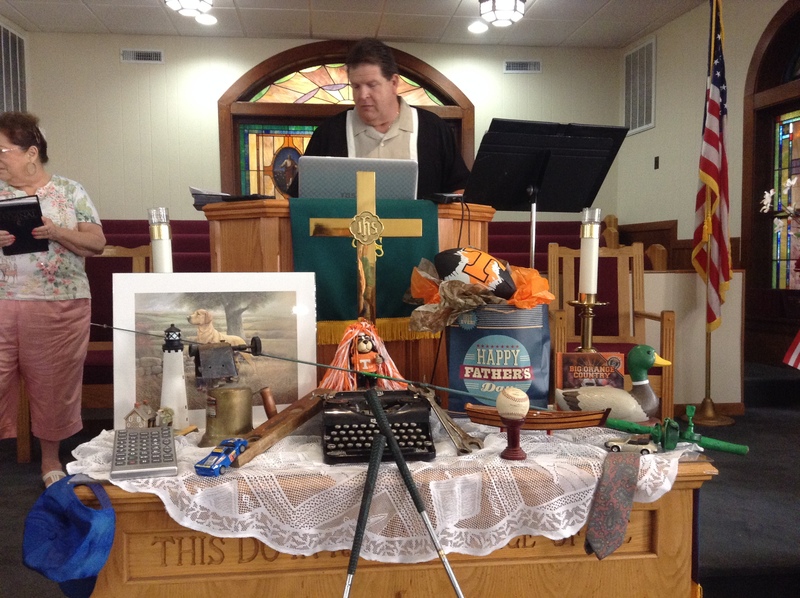 Pastor Russ (pictured above) prepared a special altar for Father’s Day. 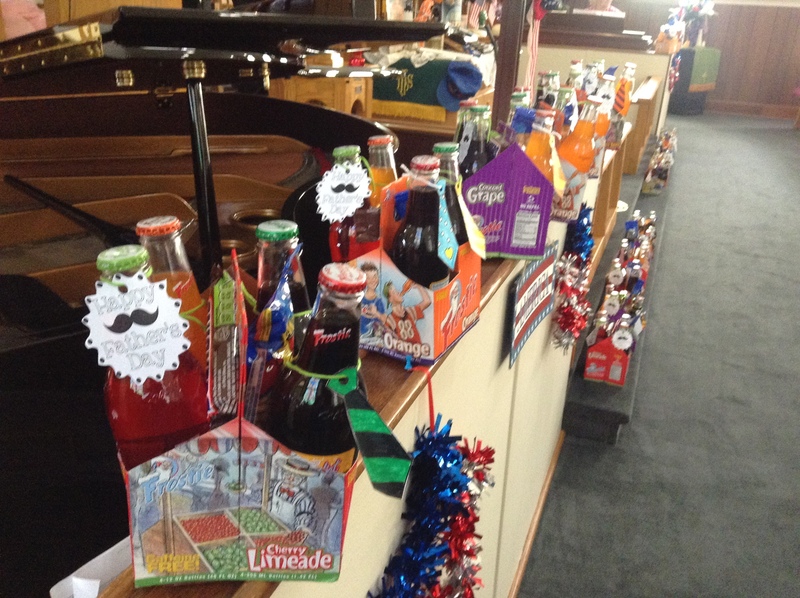 All fathers were given a special sweet treat that they picked up from the altar (see below). The oldest father in the congregation was given special recognition and presented with a gift card. The father with the most grandchildren was also honored with a gift card.